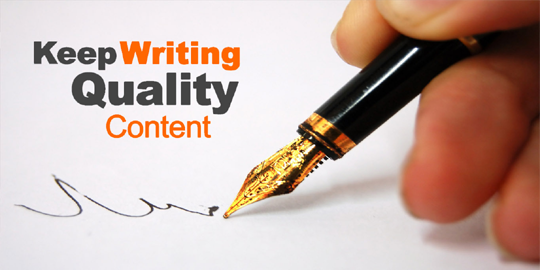 In these days the Content Writing Skills is the main power to generate the traffic on your website. Visitors need information but not the wrong and inappropriate information. So writing content for specific topic is really an art. Further it is also important that how tactfully you impressed the E-Users and converge them according to their right path. Website is really doing a great increment in the businesses, but content is most import feature in the website to converge and divert the traffic appropriately. After this training program you are eligible to create the content and divert the traffic according to the requirement of the client and stake holders. Google and other search engines believes that when user search on their search engines then they may have to reach the right destination. And the content is the main factor. Web Contents writing is really an art to play with these engines, but this is very clear the site should represent their selves that it is the right destination for them. Usually people use the gimmicks and divert the traffic on the unwanted sites, these efforts to totally useless, because today the conciousness level of the user is very strong and they will get rid of those sites which is not interested of him. Therefore, we are here to give you the right direction and tools, which enables the sites with appropriates contents and also give the user of correct information as per his desire. 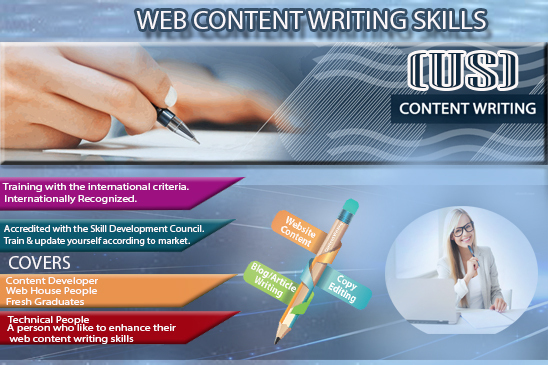 This training program help you out and increase to writing capabilities regarding web content writing skills. Full of professional approach with professional trainer will equipped you in this respect and finally you will award with full of knowledge about the technical and non technical web content writing techniques and make your self present as a professional web content writer. Learn and Earn through Web Content Writing Skills, Its will develop you as a content writer and you can easily do online Jobs. 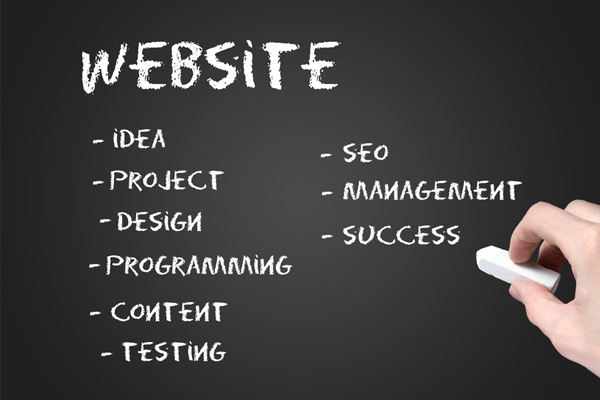 "Everyone who would like to Develop their WEB CONTENT WRITING SKILLS." In early decades of 20th century, to get the Job in open market is not the problem and every person after their graduation may have got the job in very easiest way. But in the 21st Century, it is one of the biggest task to get Job and after getting job,it is more difficult to retain and upgrade your jobs. Now there is only one solution is to retain and get the jobs in the professional market is to have the International Certifications. 3D EDUCATORS is one of the training and development company that helps to develop and enhance your career and to provide the opportunity to train & update yourself according to market and its requirement. As mentioned above the certifications are most important part now in the professional world. Especially in the field of IT, you cannot survive, if you don't have got the International Credentials with you. All big organizations Offer the different Certifications that accredited you in the professional world. 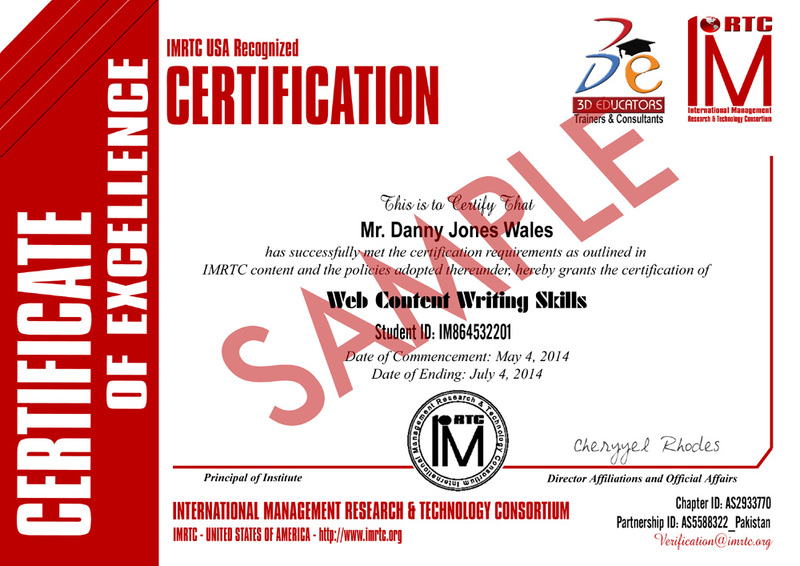 This is further clarify that Web Content Writing Skills Certification Shall be finally given by the International Body from USA IMRTC - International Management Research and Technology Consortium. The Certification Holds the unique identity of the candidate, which can be verified through their official website http://www.imrtc.org.